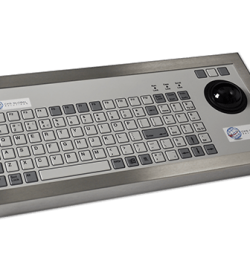 Designed for operation in areas where the full functionality of a standard 101/102 PC keyboard is not required, the 42T series keyboard takes its advantage with an integral 50mm (2”) tracker ball. 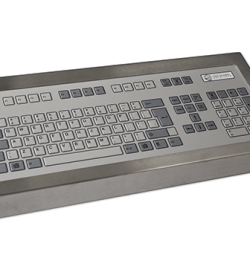 Our 42-key series industrial keyboard with trackerball has a protection rating of IP65 and NEMA 4. It can last under exposure to extreme elements that can harm a standard PC keyboard. Plus, with its integrated phenolic resin trackball, it definitely saves up workspaces to make way for larger equipment. 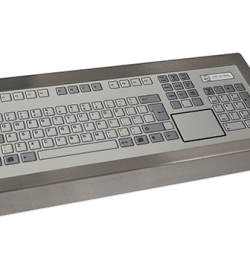 As IP/NEMA rated devices are the definitive model for all equipment, keyboard devices with high protection ratings become the ideal solution for industrial applications. 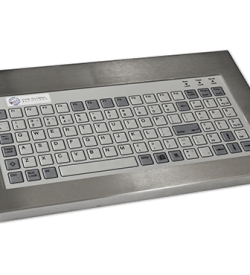 Our industrial keyboards with IP65 rating means that it the device is protected from dust that can harm the equipment. 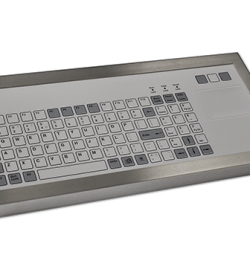 Now, our 42-key industrial keyboard with trackball also has a NEMA 4 rating. Operators are protected from accessing the hazardous components of the device. Moreover, the inner parts are protected from external ice formation due to the device’s exposure to extreme temperature. 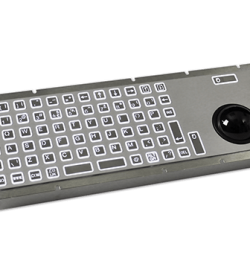 This type of keyboard has a wide operating temperature from -20°C to +60°C. Since it can also operate under a relative humidity of 95% non-condensing. Thus, it can be operated even under damaging conditions. 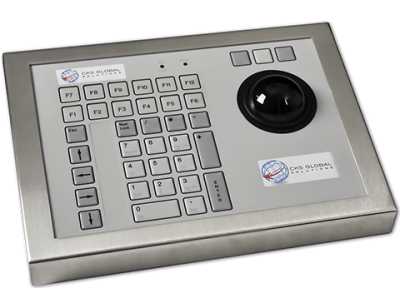 Our 42-key industrial keyboard’s trackball has a ball size of 50mm with a resolution 200 pulses. Plus, its >6 million ball revolutions ensures that it can withstand extreme usage. 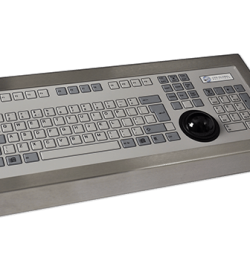 Since our keyboard with trackball can operate in a wide temperature range, it can definitely be utilised to provide seamless navigation in operations with harsh temperature. Operational requirements vary depending on the business needs. Thus, CKS Global Solutions offer customisation of products. 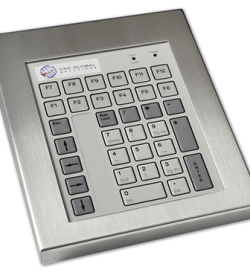 As such, key operations, case colour and logos can be custom-fit in accordance to hardware needs. Our technical services and support team are committed to provide the best computing solutions to your business operational necessities. Call us at (+44) 01438 747111 for a free quote or navigate to the product enquiry tab for further questions about this specific product.